Most Medicare Prescription Drug Plans have a coverage gap (also called the "donut hole"). This means there's a temporary limit on what the drug plan will cover for drugs. I hate the fact we run out of coverage and have a gap, it's not fair. I am glad I have some coverage, but I wish I would of know about the generic and how they impact my benefits. Wht does it cost so much? Medicare Part D enrollees will receive a sixty percent discount on the total cost of their brand-name drugs purchased while in the donut hole. The 50% discount paid by the brand-name drug manufacturer will apply to getting out of the donut hole, however the additional 10% paid by your Medicare Part D plan will not count toward your TrOOP. Check your plan for details. Doughnut Hole Insurance may vary in cost and coverage by Region -and state to State in a different region during the enrollment year, you may pay a different premium and/or possibly may not have access to the same selection of Medicare Part D plans and coverages, so check with your insurance provider for the details..
Out-of-Pocket Threshold: will increase from $4,850 in 2016 to $4,950 in 2017. Doughnut Hole Coverage Gap (donut hole): begins once you reach your Medicare Part D plan initial coverage limit ($3,700 in 2017) and ends when you spend a total of $4,950 in 2017. Be prepared for the Doughnut Hole 2018, Doughnut Hole 2019 and Doughnut Hole 2020 to change! Medicare.gov says By 2020, you'll pay no more than 25% for covered brand-name and generic drugs during the gap—the same percentage you pay from the time you meet the deductible (if your plan has one) until you reach the out-of-pocket spending limit (up to $4,850 in 2016; $4,950 in 2017). There's a pretty good chance now that Trump care seems to be the new norm, that the donut hole for upcoming years may change because how the entire process may change so it's always wise for you to understand the plans you have in place as well as the benefits provided to you by the US government so you can make Change because how the entire process may change so it's always wise for you to understand the plans you have in place as well as the benefits provided to you by the US government so you can makeYour health care, medical care, hospital and doctor visits in the future… It's not how much you spend every month on premium it's really the overall cost of your healthcare as you age that you need to manage! Doughnut Hole Insurance AKA PART D or PRESCRIPTION DRUG COVERAGE is Medicare prescription drug coverage (Part D) have a coverage gap (called a "the donut hole"). This means that after you and your drug plan have spent a certain amount of money for covered drugs, you have to pay all costs out-of-pocket for your prescriptions up to a yearly limit. Many people like Silverscript or Human for their Part D plan or get it with their Medicare Advantage Plan! There are over 100 insurance companies that offer medicare supplements and many of them offer Medicare Part D plans! Many people say that Medicare, medigap, part D is all just overwhelming and confusing. 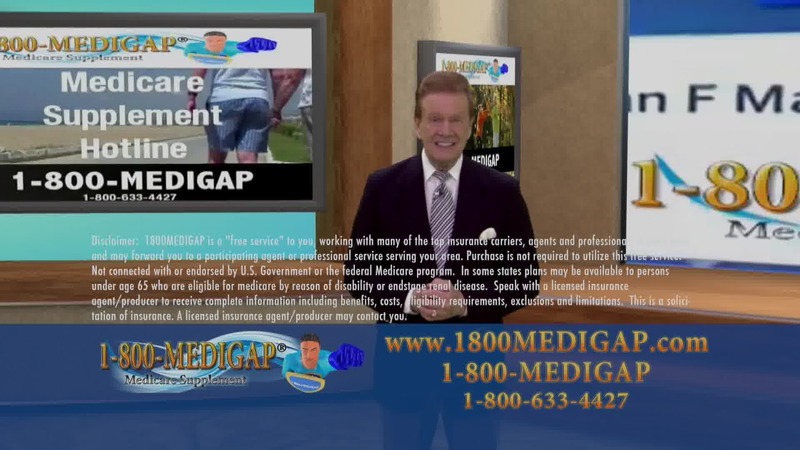 You can call the 1-800-MEDIGAP help-line anytime for real answers by professionals who do this everyday.